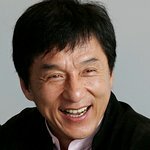 Jackie Chan hosted a very special charity event in Beijing during the weekend. The Believe In Love event on December 17 was co-sponsored by the Jackie Chan Charitable Foundation and CCTV, and saw the action star auction a scarf signed by both himself and Will Smith – which raised US$157,000 – as well as a hunting chair, which went for US$315,000. Jackie surprised everyone present by announcing that he would match the auction price for the chair with a personal donation of $315,000. The event raised $2.3 million to help sick children in China. For more information and photos from the event, check out Jackie’s official website.